Geobacter (Geobacter sulfurreducens) under a microscope! 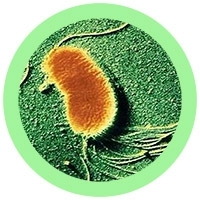 Geobacter is a species of environmentally friendly bacteria with some incredible abilities. Learn all about this amazing bacteria and how it can be harnessed as “microbial fuel cells” to generate electricity from soil and food waste! Includes glowing red light inside! 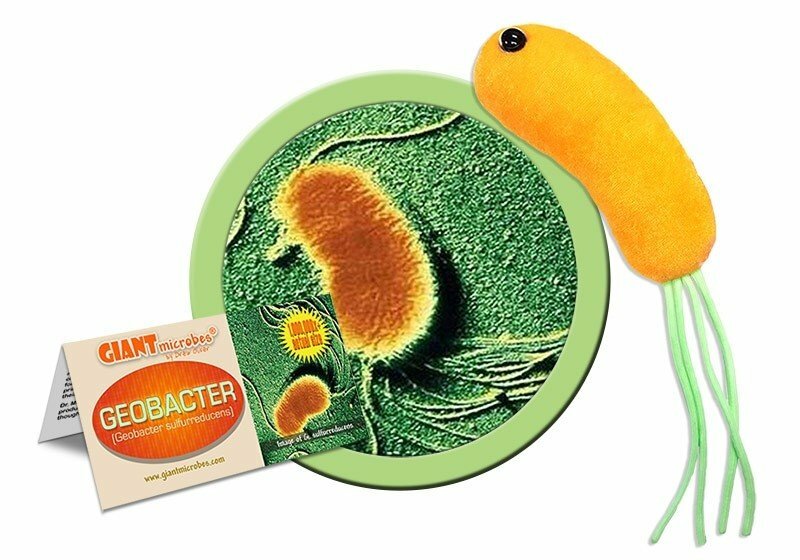 FACTS: Geobacter is a species of environmentally friendly bacteria with some incredible abilities. Geobacter are nicknamed “iron breathers” since they respire iron compounds. They actually crave habitats where there is no oxygen such as deep underground or within ocean sediments. 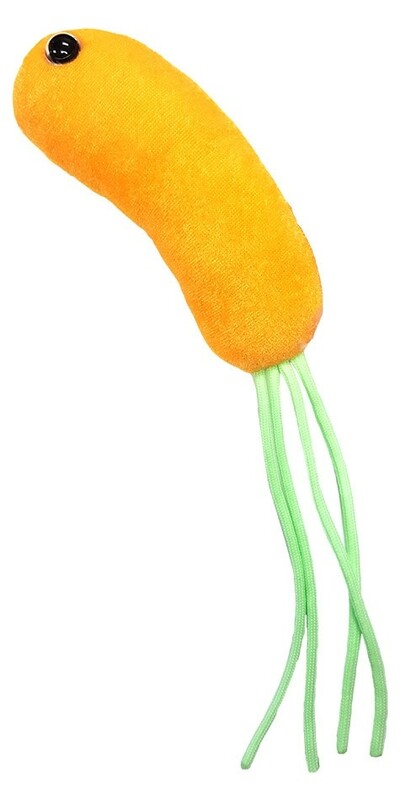 Perhaps even more amazing, after Geobacter munch on sugars and nutrients they release electrons through conductive appendages called “nanowires”. Geobacter can be harnessed as “microbial fuel cells” to generate electricity from soil and food waste. In fact, they can link together with neighboring Geobacter buddies and transfer electrons through each other. Scientists have found vast communities of Geobacter on the ocean floor, all connected and transferring electrons in a vast network. And there’s more! These wonderful organisms can even help clean up pollution by metabolizing petroleum, uranium and other toxic waste.